How to get a total visibility of the contents of a pallet? What type of film ensures better load stability for transport? These are just some questions to consider when choosing a packaging solution for the palletized goods. Therefore, the film used in the packaging is one of the most differentiating elements of the Stretch Hood solution. Today we will see its characteristics and advantages compared to other types of films and packaging systems. Innova is not only the manufacturer of Stretch Hood solution, but also analyses in our Lab and recommends the most suitable film for each customer. What is the Stretch Hood Film? It is a tubular film with very specific properties of flexibility, elasticity, firmness and transparency. 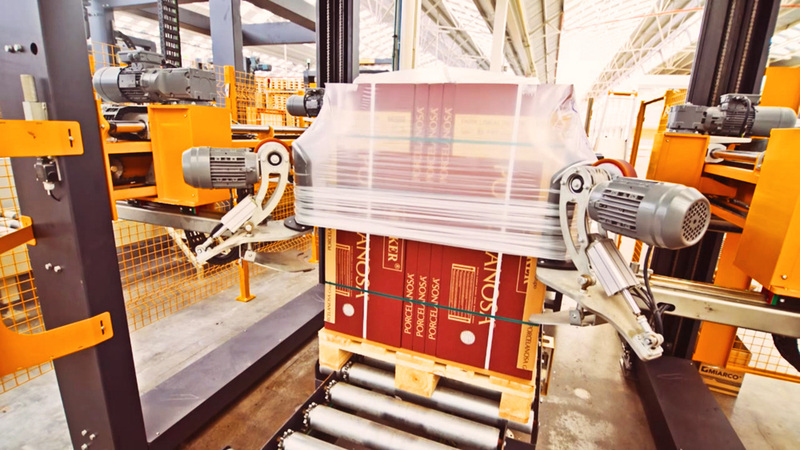 In a Stretch Hooder, the film is cut to the appropriate length and dimensions of the load, resulting in considerable savings of consumables and energy (when comparing to other similar packaging systems). The Stretch Hood film also has unique properties with a multilayer material of different composition and thickness. The film is usually composed of 1 or 2 layers of low density polyethylene that provides elasticity and several additional layers that improve the resistance of the film to tearing, perforation, and contain additives for UV protection, anti-condensation, etc. Why Stretch Hood film? Which are its advantages? 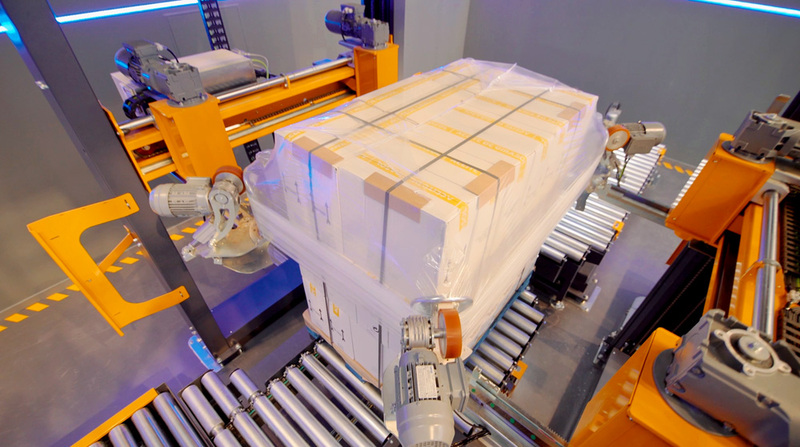 Stretch Hood film adapts to the specific dimensions of each load, offering better compaction for storage and transport. Thanks to the flexibility of the film, the same type of film can apply to different load sizes. Stretch Hood film provides a very good stability, since the mechanical properties of the film provide support and firmness in all directions and protection of the load on 5 sides. The barrier properties of the film allow total protection of the load against external and weather agents such as wind, dust and even rain. In addition, using an anti-UV filter, the product is protected from the sun, preventing discoloration in outdoor storage. The optical properties of the film provide transparency to show the content of the pallet. Moreover, it uses only a single layer (unlike the Stretch wrapping film) and provides an absence of creases and wrinkles (unlike the Thermo-shrink film) guaranteeing a perfect presentation. The film transparency helps to improve the company’s brand, allows identifying errors and damage, and provides total legibility of codes in the logistics process. In addition, Stretch Hood film manufacturers offer the possibility to customize the cover with the company colors and logos. 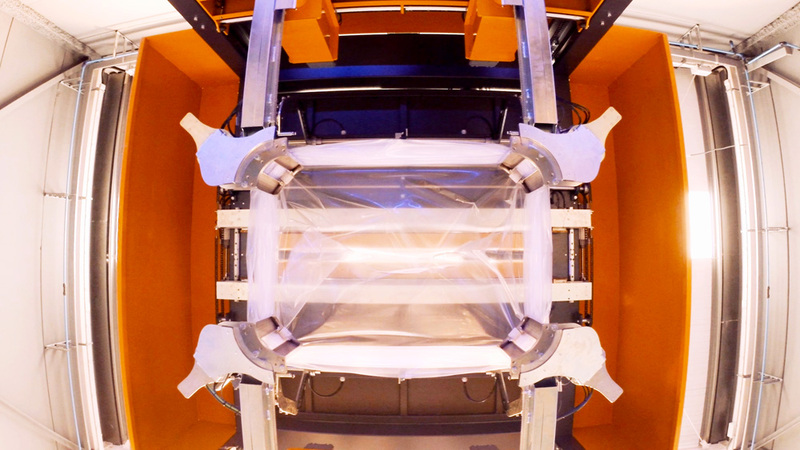 Unlike other similar solutions such as shrink-hood, the Stretch Hood film does not need heat. Therefore, the heat does not affect the product and there is no danger of the film adhering to the load. How to determine the right film for my load? The type of film it’s determined by the type of load and storage factors. In this sense, the film manufacturers offer various types of film and technical specifications to adapt to the load and the conditions of transportation and storage. In order to ensure the best film they have in consideration parameters such as thickness (usually between 35μ and 150-160 μ), resistance to breakage, resistance to perforation or the need for special additives, etc. 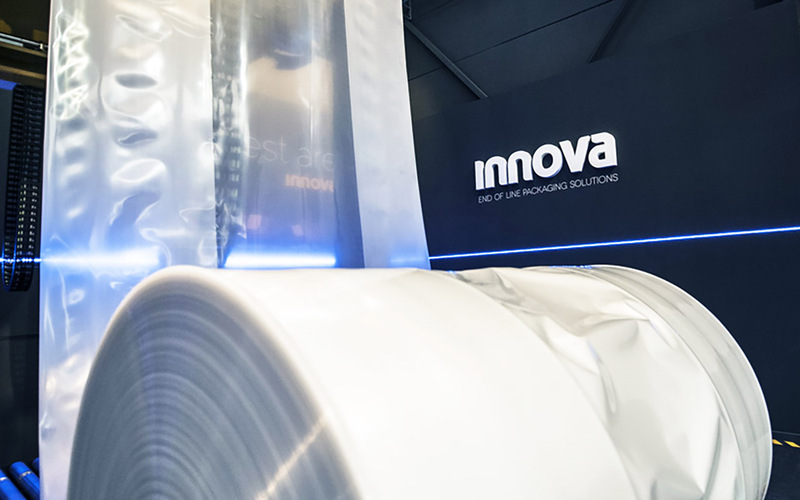 At Innova we carry out in each project a film study to recommend the most suitable film for each type of load. We collaborate with the best Stretch Hood film suppliers and manufacturers around the world in order to offer the best solution to answer our customer’s needs. What kind of film do I need? Can Stretch Hood work for my products? Contact us and we will provide an analysis of your product to determine the best possible packaging.